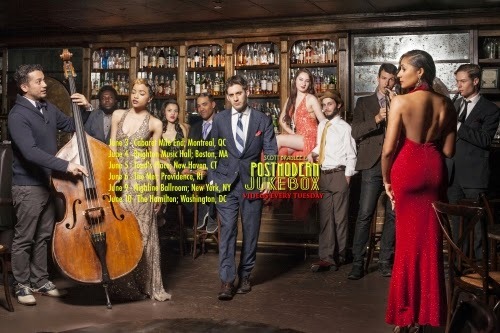 Postmodern Jukebox is one of those things you’ve probably stumbled upon while browsing YouTube or had sent to you. They take modern songs like “Thrift Shop” or “Royals” and re-imagine them in a different musical style. Some of the songs are good; most of them are incredible. In June the band is taking the show on the road. Sadly this is only a six show tour, so if you’re like me the band might not be playing anywhere near you. The tour is taking the band to Montreal, Boston, New Haven, Providence, New York, and DC. I wish it was a larger tour but you can’t blame them for taking it slow. It has to be an intimidating leap to see how many YouTube views turn into concert viewers. If you’ve spent the entirety of this update wonder just who I’m talking about, let me leave you with my absolutely favorite video they’ve done.